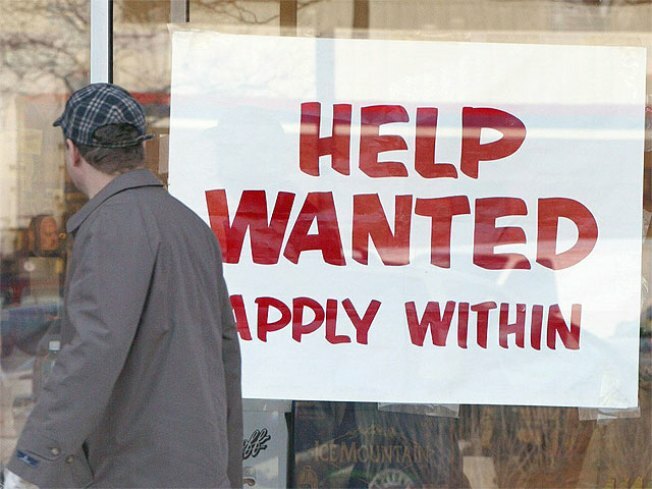 Unemployed workers lack the skills required for the few jobs that are available. There's a major hurdle to the U.S. economy's recovery: The mismatch between the skills held by the millions of people who are losing jobs and the expertise needed for the few jobs that are being created. The nation lost 53,000 construction jobs during December, the Bureau of Labor Statistics reported Friday, the lion's share of the net 85,000 jobs lost last month. It also shed 27,000 manufacturing jobs. Taken together, those two sectors have shed about 3.7 million jobs since the recession began in December of 2007. By contrast, the areas that saw job growth during the month included health services, which added around 22,000 jobs in December, and professional sectors such as architecture and engineering services, computer systems design and administrative and support services. “The mismatch is there. People with certain kinds of skills that may not be readily transferable to other parts of the economy … continue to be hit really hard in this downturn,” said Joel Naroff of Naroff Economic Advisors. The job losses are so extreme in sectors such as construction that many believe it could take several years for employment to return to its pre-recession levels. In the meantime, millions of construction workers are unemployed and lack the training to get a job in one of the few fields that are hiring. They also may simply not be a good fit. Jobs in areas such as auto manufacturing may never return, leaving those workers with no choice but to find a job in a new field. “It’s pretty clear there’s going to be a lot of structural unemployment, which means there’s a lot of people who have been laid off from jobs that just don’t exist anymore,” said Marisa Di Natale, a director at Moody’s Economy.com. That could lead to higher levels of unemployment even after the economy has recovered more fully. Also, even if manufacturing workers eventually find new work, growing global competition may force them into jobs that pay less than the ones they lost. In total, the nation lost more jobs than many experts had expected in December, and the unemployment rate stayed steady at 10 percent. One bright spot: Manufacturing job losses were not as bad as in the early months of the recession. Although that could be a sign that sector is stabilizing, it doesn’t mean that jobs will return in that sector anytime soon. Another potential positive is the continued increase in temporary help services. Employers added 47,000 temporary jobs in December, marking the fifth straight month of growth. That is often an indicator that employers are growing more confident about adding workers. In contrast, the number of people who have been unemployed for six months or more reached 6.1 million in December, and now account for about 40 percent of the total number of unemployed Americans. Also, some people have dropped out of the labor market completely because they are so discouraged about their job prospects. The unemployment report follows a week of economic news that some believe offers evidence the U.S. recovery is plodding along, although in fits and starts. The Institute for Supply Management, a trade group of purchasing executives, reported stronger-than-expected manufacturing activity in December, and similar reports from other areas of the world also were encouraging. The ISM also reported this week that the service sector showed marginal growth in the month, though it was less than many had hoped. Many of the nation’s retailers reported slight gains for the holiday season, despite high unemployment and worries that consumers would be extremely frugal. The International Council of Shopping Centers said sales rose 1.8 percent for the November-December period, an improvement over the steep drop in the same period last year. On Thursday, the government said the number of new claims for unemployment benefits barely rose last week, another sign that the worst recession since the Great Depression may be easing. Oil prices also have rallied sharply in recent weeks. There also are plenty of signs that any economic recovery will not be smooth. Construction spending dipped slightly in November, and the number of people preparing to buy a home in November fell sharply. That’s leading some to fear a double-dip in the housing market, which could hinder any recovery. For most people, however, it will not feel like the nation is in an economy recovery until more Americans are back at work. That could take months, or even years. “Unfortunately, the labor market is one of the last parts of the economy turn around in a recovery,” Di Natale said.